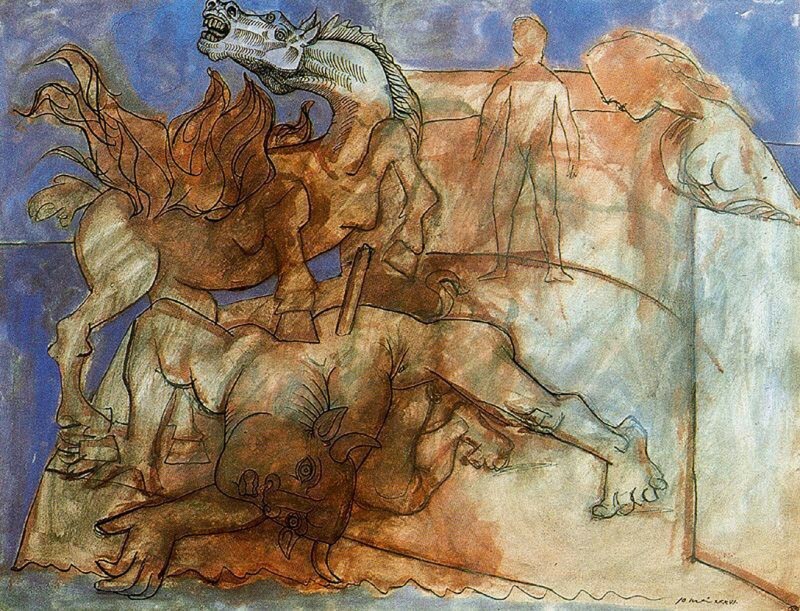 Pablo Picasso (Spanish, 1881-1973): Minotaur is wounded, horse and personages (Minotaure blesse, cheval et personnages), 1936. Vollard Suite. Etching. Musée Picasso, Paris, France. © This artwork may be protected by copyright. It is posted on the site in accordance with fair use principles.